Join us on Thursday, April 4th for a special Art Walk open house showcasing our resident artist, Devon Walz! 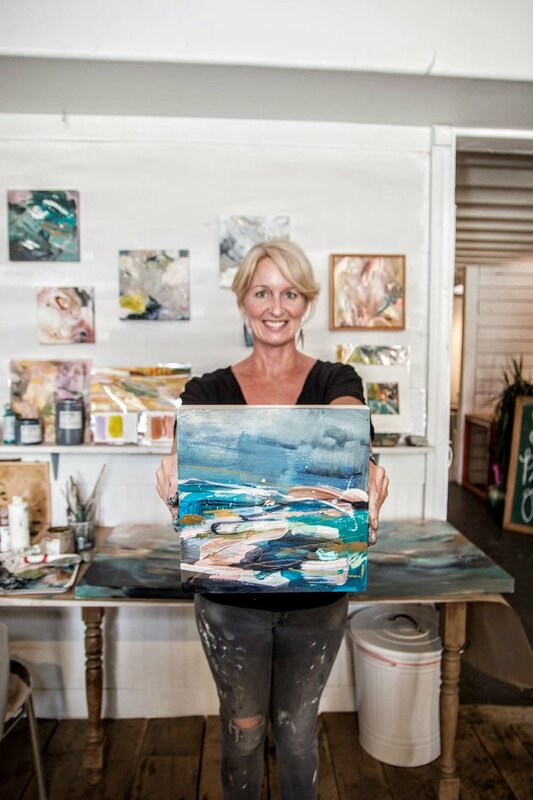 Showcasing her "Inner Space" Series - each painting began with a question: “If the internal world could be seen with our eyes, what would that look like?” Each painting in this series is Devon’s attempt to translate her experience of this wondrous, internal place. Have you ever seen someone walking down the street and wish you could shop in their closet? That day has arrived! For one special day shop in the curated closets of some truly stylish women of Laguna Beach! You won't want to miss this one day Pop-Up Closet Sale! Cash & Venmo will be accepted. Maker's Brunch is an afternoon to connect with other local small business owners & come together - share your journey and learn from each other over yummy brunch & mimosas. PLUS, we'll be cracking the code on INSTAGRAM - what you'll need to know in 2019 to make your efforts have the most traction, make content with impact, and WIN! The Instagram Roadmap with 6 steps to Grow your business on IG in 2019, you’ll learn what is working on Instagram NOW (and why most of what you're being taught about Instagram is outdated and wrong). Walk you through Instagram stories and why it’s the most essential part of your 2019 Instagram goals. Join us for an afternoon of Cookie Decorating Fun! 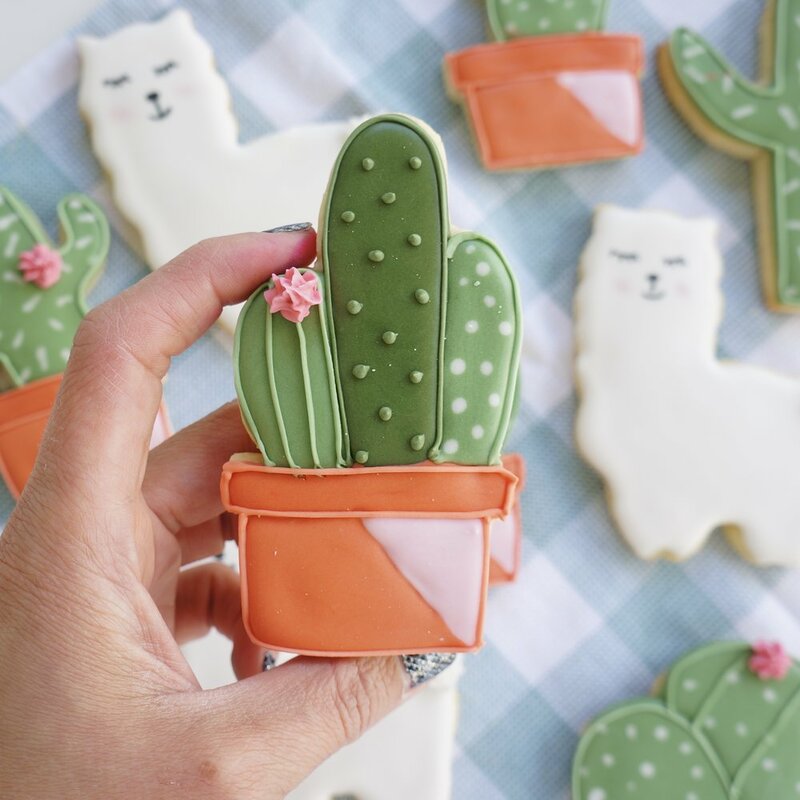 Learn the art of cookie decorating with Sugar Cookie Designer and Owner of The Sweet Lemon Bakeshop, Anais Weeks. This class is perfect for beginners to experienced cookie decorators. This is a cookie decorating class only, no baking involved. Everyone will decorate 8 cookies in our Whole Llama Love! valentine’s theme. ( Llama, Cactus, Potted Cactus and Hearts w/ Valentine Message. ) Cookies, refreshments and all materials will be provided. Join us for our last event of 2018! Celebrate the launch of Benjamin Richard Nicoll's debut book, for KT, from overseas on Sunday, December 23rd from 3-6pm. Enjoy readings, live music, book signing opportunities and good people. This event is free, please RSVP here. Benjamin Richard Nicoll’s debut book comprises a collection of poems he shared with his Australian wife, KT, while 7,188 miles (11,568 kilometers) of ocean and government bureaucracy separated them. Many of these poems were included in the permanent residency visa application providing evidence to the Australian government of the relationship between Ben, a Southern California native, and KT. These are not all love poems. Ben uses poetry to wrestle with the pains of separation, aging out of youth, and the fragility of things that have left him waiting on the mailman and a racecar visa. Ben was born in Mission Viejo, CA, in 1987. He now lives in a rural town on the east coast of Australia with his wife and dog. Order for KT, from overseas on Amazon now. Books will also be available for purchase on the day. Holiday Pop Up Shop - Day 2! Join us on for day 2 of our back to back special Holiday Pop Up Shops! Shop from our local emerging contemporary artists, makers, and designers and make a succulent arrangement sponsored by Morse Landscapes at our free DIY Craft Bar! 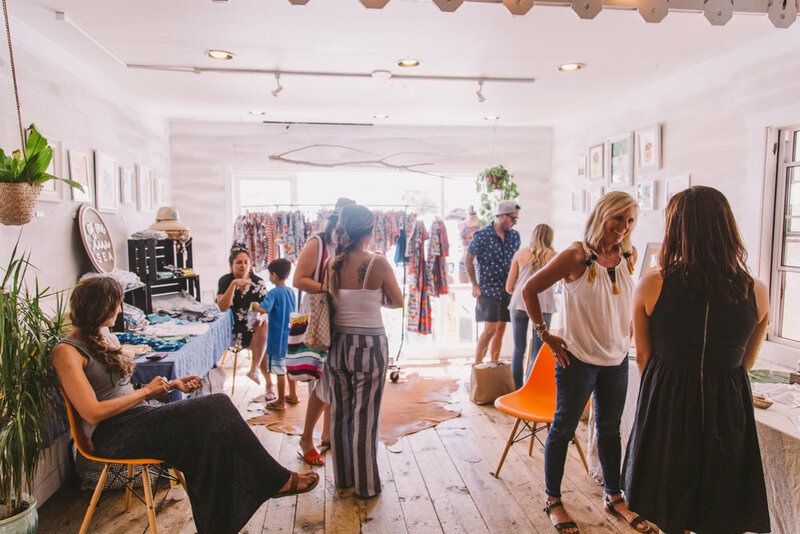 The pop-up market is free to attend, family friendly, and unique to Laguna Beach! Offered at our Free DIY Craft Bar on Sunday, you’ll be able to make your own mini succulent arrangement with Kim Nielsen of Morse Landscapes. We also have special in-shop giveaways with your chance to enter with every purchase made! Holiday Pop Up Shop - Day 1! Join us on for two special back to back Holiday Pop Up Shops! 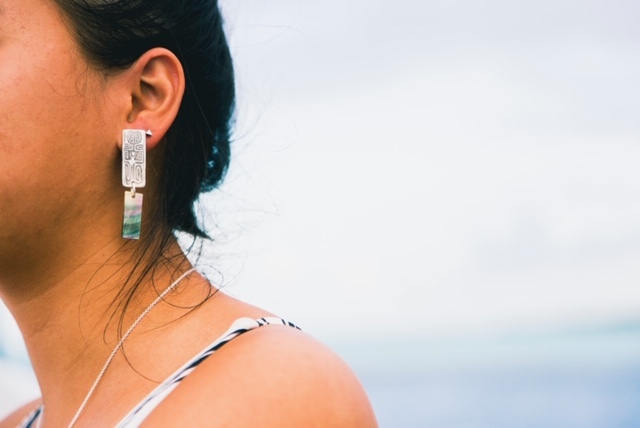 Shop from our local emerging contemporary artists, makers, and designers. 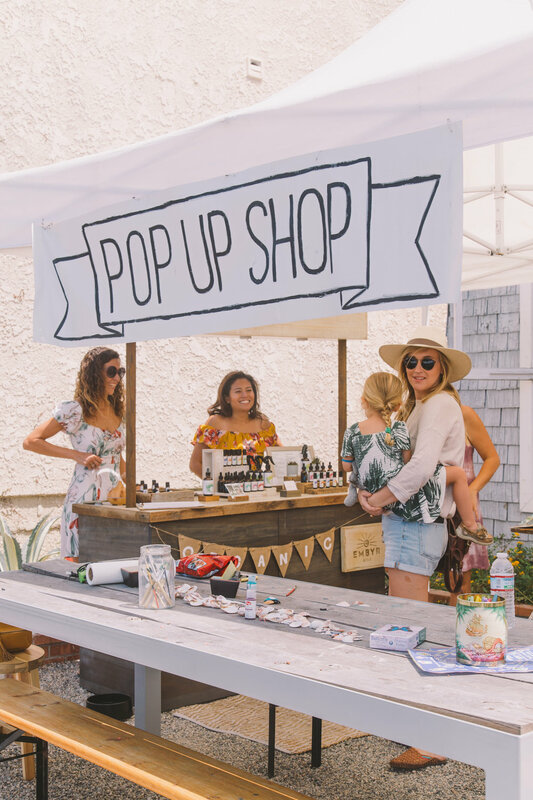 The pop-up market is free to attend, family friendly, and unique to Laguna Beach! Offered at our Free DIY Craft Bar on Saturday is decorate your own glass ornament with Resident Artist, Shannon Kim. We also have special in-shop giveaways both days, your chance to enter with every purchase made both days! Bring your yoga mat, an open heart, and tap into your creative inner child channeling into mind, body, and soul. No experience necessary - we're having fun with this, let’s explore together! 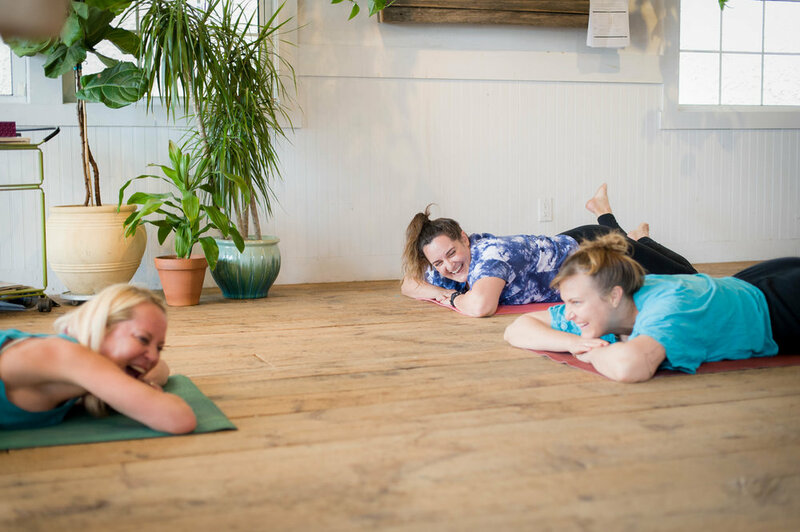 We host a special donated based fun flow with Staci Bina of Bala Shala here at SOURCED. This week’s yoga flow is all about expressing Gratitude for what the season brings. We host a special donated based fun flow with Staci Bina of Bala Shala here at SOURCED. This week’s yoga flow is all set to the music from Coldplay! Join us on Saturday, November 10th for our next Pop Up Shop featuring highlighting local emerging contemporary artists, makers, and designers. Shop & meet the makers, plus get your craft on at our free DIY Craft Bar. The pop-up market is free to attend, family friendly, and unique to Laguna Beach! Follow along as artist, Shannon Kim, gives you an inside scoop on how she prepares for the holidays with her holiday cards. Learn to make easy decorative stamps for printmaking or loosen your hand with some abstract painting that you can cut into many postcards. All you need to bring is a willingness to play and be creative. Interested in showcasing at one of these shopping event? Find more information on our Pop Up Markets page here. Join us Thursday, November 1st for a special Art Walk open house showcasing our new resident artist, Shannon Kim. Artist-in-Residence, Shannon Kim, along with Kazumi Onoue and musician Noah Rubin, invite you to meditate on how we pull textures, timbres, and tones from things we have heard, felt, and seen, to create harmonic re-compositions in art. This "REMIX" series tells the story of colors, movements, and shapes seen in music. 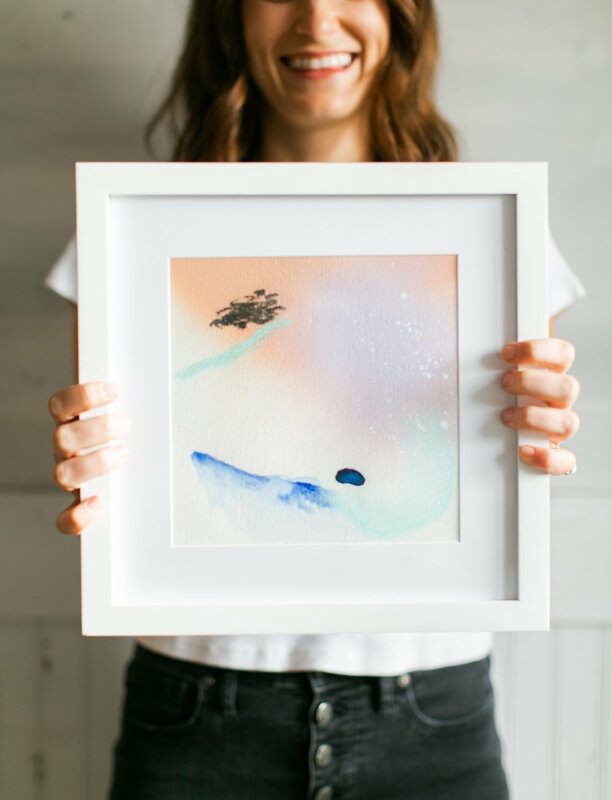 Meet the Artists, see the art first hand, and hear the inspiration behind these whimsical pieces. Plus live music, a make your own Banh Mi station, and boba drinks! It’s going to be a fun one! 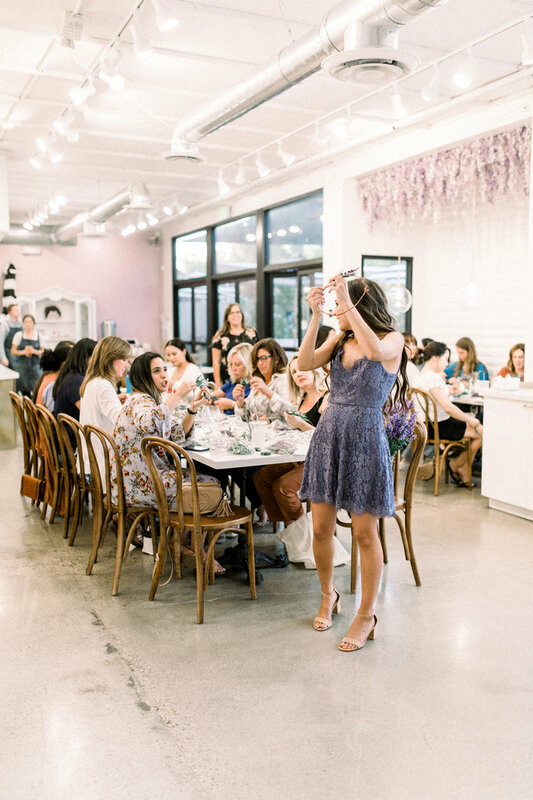 Come join us for an afternoon with the girls as Kayla from Love Sparkle Pretty teaches a step by step class of how to create a floral crown of mauve, pinks and cream blooms using high quality faux florals and greenery that will last for years to come! You can adorn this crown for an upcoming wedding, birthday, bridal shower, baby shower, photo shoot, a brunch date or all of the above! Find out more information & purchase tickets here. We host a special donated based fun flow with Staci Bina of Bala Shala here at SOURCED. This week’s theme: John Mayer - that’s right! A whole class dedicated to your body as a wonderland. We host a special donated based fun flow with Staci Bina of Bala Shala here at SOURCED. 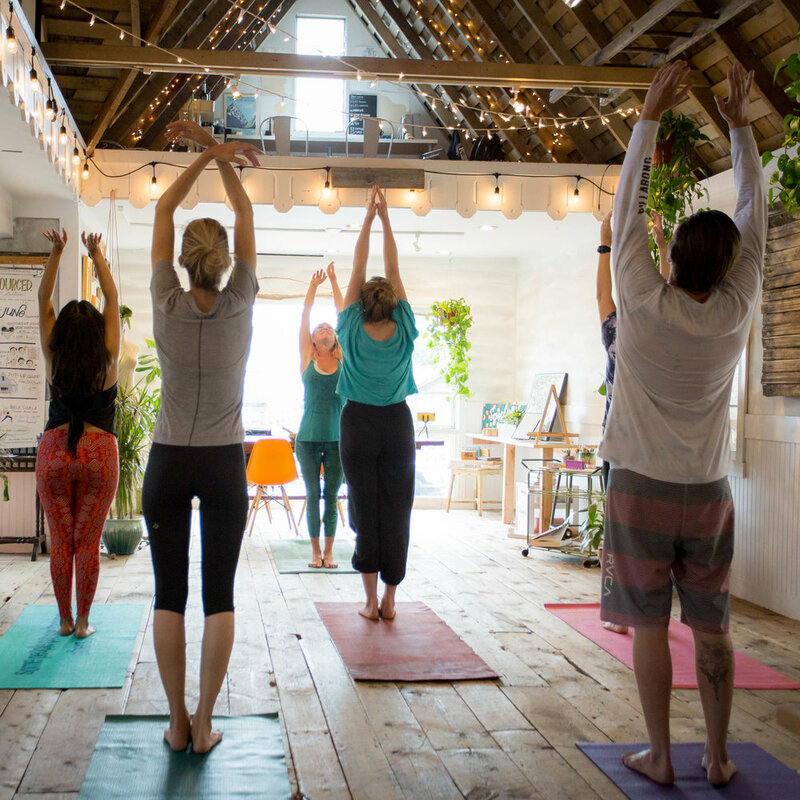 This week we’re pairing Octoberfest + Beer + Yoga, intrigued? Yeah! Us too! That Staci really knows how to keep things funky fresh. Dine, mingle, and raise a glass to raise funds for Growers First as they take on their very first domestic community development project helping families in need of our support, right here in Southern California. RSVP for an evening featuring craft cocktails by Partida Tequila, small bites, and big fun! Join our host, Sophia Partida, as we introduce the work we've been doing in Bombay Beach, California. With your support, Growers First will be able to help families in need of running water, electricity, health and wellness, and most importantly, hope. SOURCED. 5 year anniversary party! 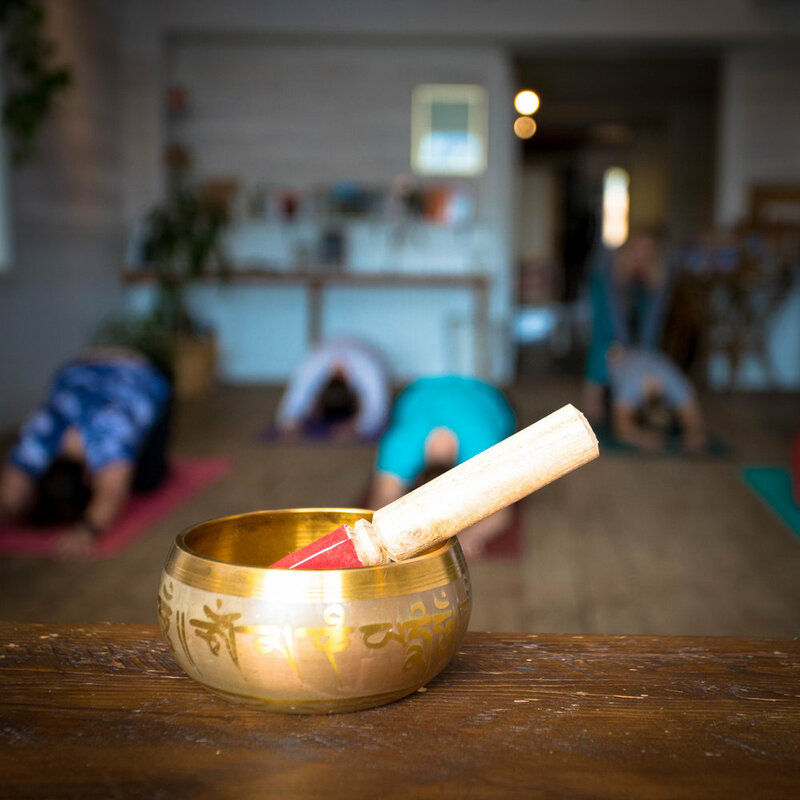 We host a special donated based fun flow with Staci Bina of Bala Shala here at SOURCED.